Oppo Find X leaked teaser image shows the upcoming high-end smartphone to carry a screen-to-body-ratio of 93.8 percent. Oppo Find X could come with a screen-to-body-ratio of 93.8 per cent. Oppo’s upcoming flagship, Oppo Find X is set to debut Tuesday in Paris, but leaks and teasers over the past few weeks gave a fair idea of what to expect from the device. While recent leaks revealed the phone will feature a ‘notch-less’ display, latest rumours now suggests that the Find X will have a screen-to-body-ratio of 93.8 per cent. Apparently, Oppo posted a product teaser on Weibo asking users to find the Find X’s screen-to-body-ratio. The well-known tipster Ice Universe who first spotted the teaser revealed an image on Twitter saying that the upcoming Oppo phone will carry 93.8 per cent screen-to-body-ratio. If this turns out to be true, then Oppo Find X would be a true bezel-less phone. While many Android phones have started embracing notch-style display, Oppo’s flagship model seems to skip this feature. Notably, the phone has a promotional page live on the official OPPO Netherlands website, indicating that the Find X would make its way to the European market. The rumour mill revealed last week that the Oppo Find X would feature a 6.43-inch display with a resolution of 2340 X 1080 pixels. The phone will likely have dual rear cameras with a 20MP primary sensor and a 16MP secondary sensor, f/2.0 aperture and LED flash support. Up front, it will have a 25MP camera with f/2.0 aperture for shooting selfies. As for hardware, the Oppo Find X will feature Qualcomm’s latest Snapdragon 845 paired with Adreno 630 for graphics. The phone is expected to run Android 8.1 Oreo with ColorOS 5.1 layered on top. Oppo Find X is said to pack 8GB of RAM and 128GB onboard storage. Some teaser posters have also indicated a 256GB storage version for the Oppo Find X. The phone is tipped to pack a 3730mAh battery and support the company’s VOOC fast charging technology. Oppo has confirmed that its upcoming flagship phone will feature the company’s 5X Dual Camera Zoom system which is a periscope-style setup. 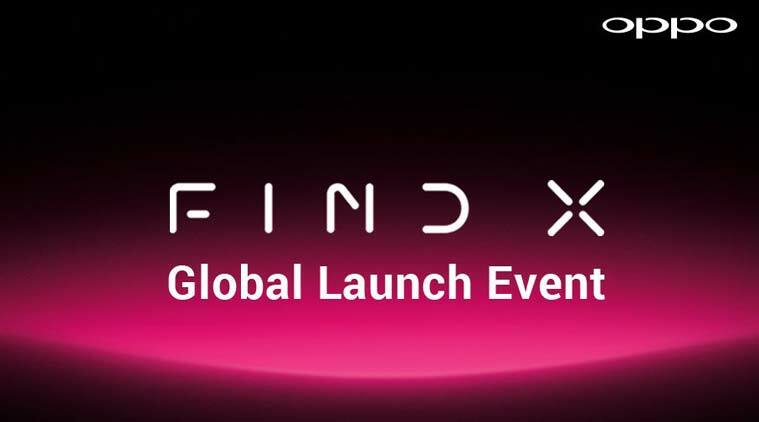 The Oppo Find X launch event is scheduled to take place at The Louvre Museum in Paris on June 19.